Now, we don’t want you to pout if you have a small bedroom. Instead…if you’re a DIY-er, start getting excited! We’ve found you 40 terrific projects, to make your tiny bedroom feel so much bigger than it is. Some of these can be done in an hour and others are going to take much more time. But we can assure you, there are some quite simple things that you can do to really improve your small bedroom! Whether you own or rent a home or apartment, housing costs can truly be expensive in lots of places. There are many people and families who just need to choose smaller spaces out of financial practicality. We think you’re going to be impressed at how creative some of your fellow DIY-ers have been, with what they are doing with their small bedrooms! Remember to think specifically about your small bedroom before you get going on DIY projects. One of the first things you can do is to improve the lighting and also consider changing the paint on the walls. Both of these things can really make your small bedroom seem larger and more roomy each time you are in it. And these are DIY projects that even a beginner can do confidently and get terrific results too. So, let’s get started! Happy DIY-ing! Paint the walls a light pastel or even white. This makes the room seem more spacious. Look at how well this makes use of space in a small bedroom. Very smart! Love to read? 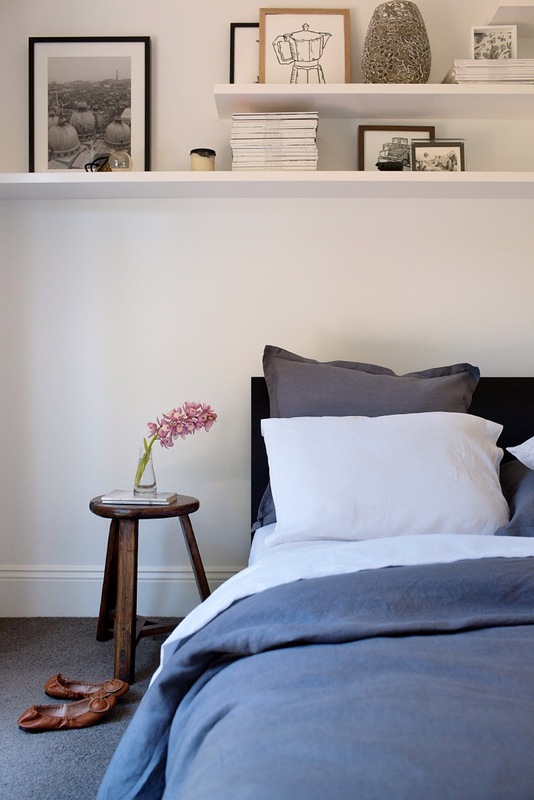 DIY bookcases in your small bedroom! Have a small room? DIY storage that works well with the space that you do have, you’ll be glad you did. Think about just how much space there is under your bed right now. If you have a small bedroom, be sure to use that for storage! Loft beds are a smart idea! A real space saver for a small room. Look at the great closet! When you can get organized, your room simply seems a lot bigger. Isn’t this fantastic? Use the space under your bed with DIY storage! DIY a small desk that fits perfectly to the room. So you can use your laptop or write correspondence. Now here’s a savvy use of storage space. 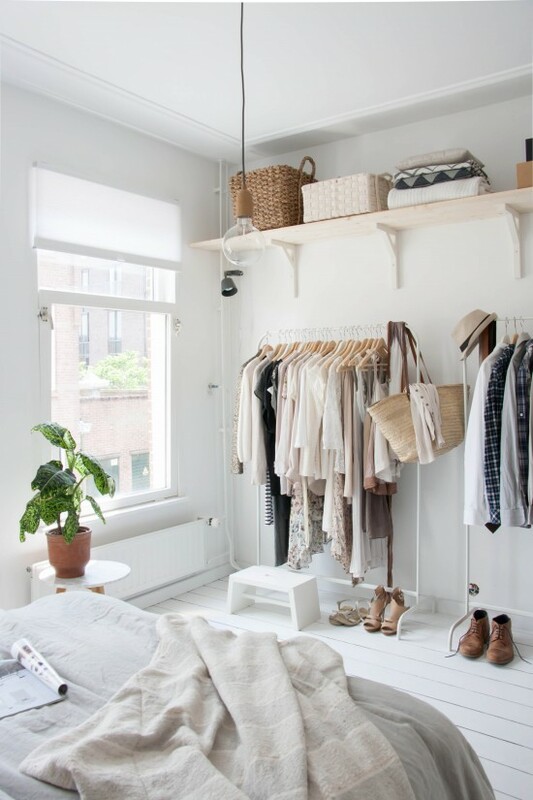 Perfect if you love clothes & have a tiny bedroom! Have 2 kids sharing a small room? 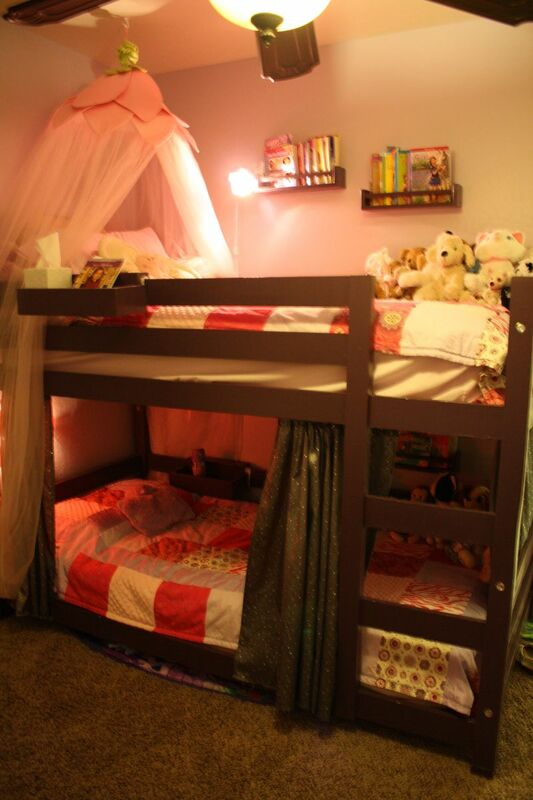 DIY these great bunk beds! When you have a small bedroom, you need to be super savvy about storage. Every square inch counts. A murphy bed folds up into the wall. It’s a huge space saver in a small bedroom! Pointed ceiling and a small room? See how they made the most of it? When you have a small bedroom, sometimes a small shelf is all you need. Perfect to hold books you are reading or other items. You can see how this makes the most of every square inch of space. If you’ve got a small bedroom, this is how to do it! See how a lighter color makes the room look bigger? Go with a pastel shade that’s your favorite. Isn’t that eye-catching? 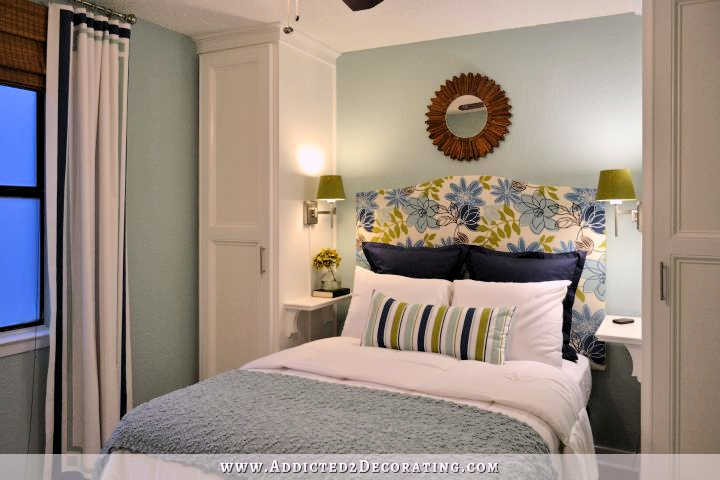 Add a “pop” of color to your small room to make it seem larger. Yes, these can hold a lot of items! They also take up just a little space, perfect for a small bedroom. You can DIY a vanity for your small bedroom. It wont take up too much space. A bookcase takes up space on the floor. Open shelves use room on your walls to hold things, its a savvy system! Have kids or teens? 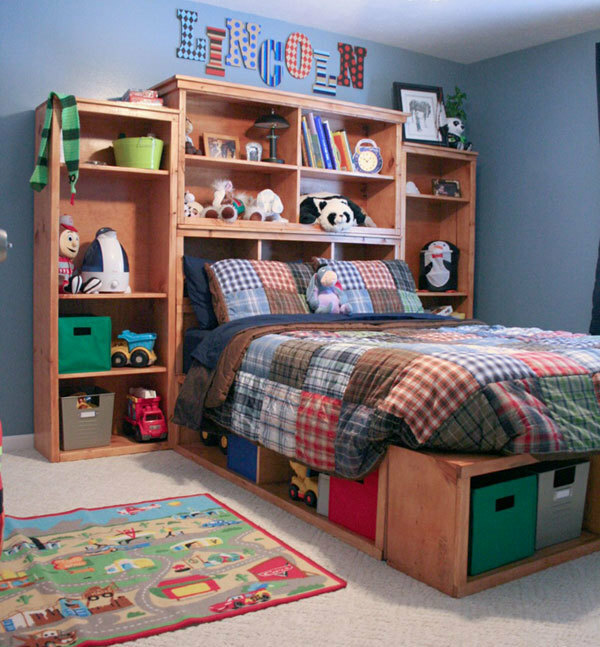 Bunk beds are a terrific space saver in a small bedroom. This is an excellent tip when you have a small bedroom. Elevate the bed and put storage under it! One or a few mirrors can create the illusion of space. This is inexpensive to add to your bedroom. A futon bed folds up and out. It easily saves a lot of space. Keep your books & other items handy. Make a DIY bookcase out of your headboard. Here’s a budget-friendly way to save space in your bedroom. DIY a murphy bed. Sometimes a small room isn’t so small. Like this one – with great, high ceilings! 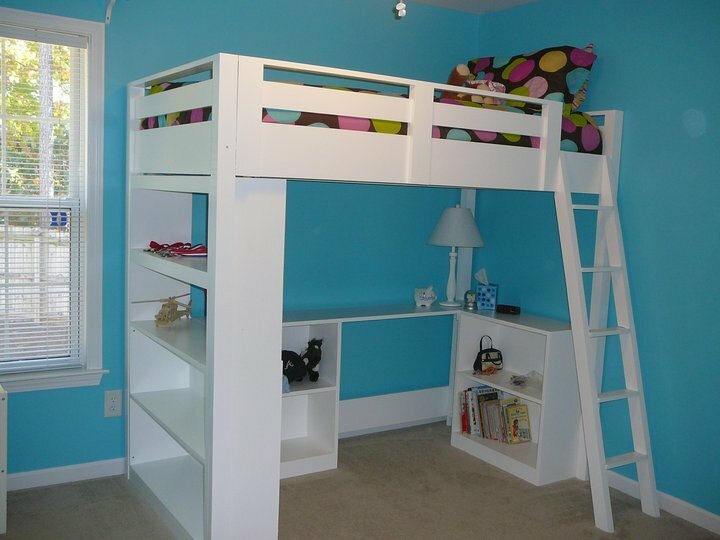 Loft beds are extremely efficient with space. DIY one in your small bedroom! Hey, that space under your bed? Use it to store clothes, toys & other stuff! 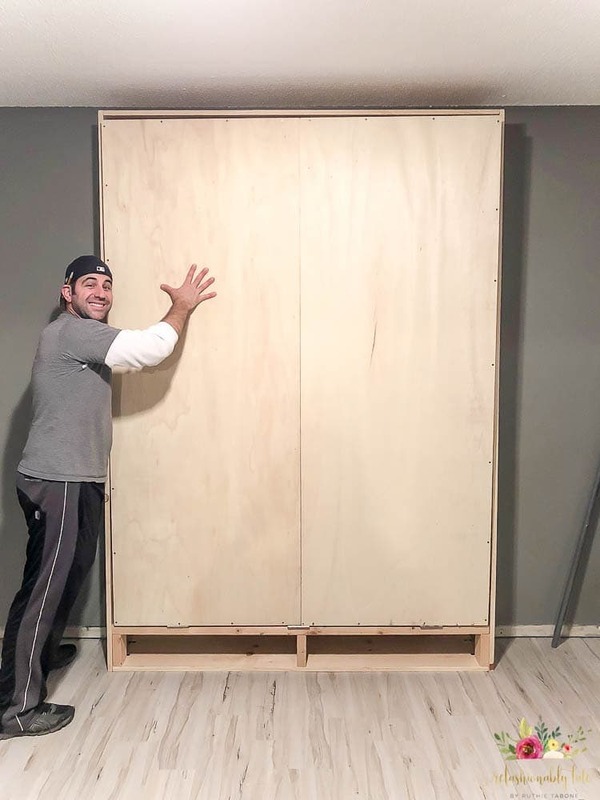 What’s great about this DIY murphy bed is that it also has storage. So you save so much room all the time! Choose a bed that is “right sized” for you. Don’t get a huge bed that takes up too much space! Don’t neglect improving the lighting in the room. This can make a huge difference! Bedroom Makeover: BEFORE & AFTER! When you have a small bedroom, keeping it well organized can make the space look much bigger. Put in the time to keep your space neat and tidy.